Daniel J. Cohen is an Assistant Professor in the Department of History and Art History at George Mason University, where he is also Director of Research Projects at the Center for History and New Media (CHNM). 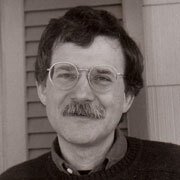 His research interests are in European and American intellectual history, the history of science (particularly mathematics), and the intersection of history and computing. He received his bachelor's degree from Princeton University, his master's degree from Harvard University, and his doctorate from Yale University in 1999. In addition to Digital History, he is the author of a forthcoming book from the Johns Hopkins University Press on the values and social motivations of the Victorian mathematicians who created the logical systems at the heart of modern computing. He has published articles and book chapters on the history of science and religion, the teaching of history, and the future of history in a digital age in the Journal of American History, Rethinking History, First Monday, and other journals. He also writes a blog on the digital humanities. At CHNM, he has co-directed several major websites and digital projects, including the September 11 Digital Archive, the Hurricane Digital Memory Bank, and Echo: Exploring and Collecting History Online--Science, Technology, and Industry. He is also the creator of a set of software tools to expand and enhance the online work of scholars, teachers, and students, including the Web Scrapbook, a content management system, and the Survey Builder, which allows users to create gather information from far-flung subjects. Currently he is formulating new models and methods of digital research, which has resulted thus far in two web research tools, the Syllabus Finder and H-Bot: Automated Historical Fact Finder. More on his research, writing, and software can be found at www.dancohen.org. Roy Rosenzweig is Mark and Barbara Fried Professor of History & New Media at George Mason University, where he also heads CHNM. He is the co-author, with Elizabeth Blackmar, of The Park and the People: A History of Central Park, which won several awards including the 1993 Historic Preservation Book Award and the 1993 Urban History Association Prize for Best Book on North American Urban History. He also co-authored (with David Thelen) The Presence of the Past: Popular Uses of History in American Life, which has won prizes from the Center for Historic Preservation and the American Association for State and Local History. He was co-author of the CD-ROM, Who Built America?, which won James Harvey Robinson Prize of American Historical Association for its “outstanding contribution to the teaching and learning of history.” His other books include Eight Hours for What We Will: Workers and Leisure in an Industrial City, 1870-1920 (Cambridge University Press) and edited volumes on history museums (History Museums in the United States: A Critical Assessment), history and the public (Presenting the Past: Essays on History and the Public), history teaching (Experiments in History Teaching), oral history (Government and the Arts in 1930s America), and recent history (A Companion to Post- 1945 America). He has been the recipient of a Guggenheim Fellowship and has lectured in Australia as a Fulbright Professor. He currently serves as Vice-President for Research of the American Historical Association.